“Government has allocated sufficient budget for the health sector. In order to reach healthcare service to the common people’s doorsteps, current government reopens the community clinics which were shut down by the previous government. Since the Rangunia Upazila is malaria prone area, long lasting insecticidal mosquito net are distributing among the poor families. 130000 insecticidal nets were distributed through YPSA by the government in last 7 years to control malaria in Rangunia. 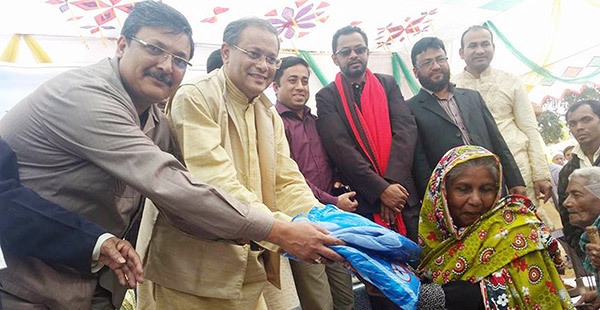 Now Malaria infection and death caused by Malaria in Bangladesh has become tolerable for the important role played by NGOs besides government.” Said Dr. Hasan Mahmud MP in an insecticidal net distribution ceremony organized by YPSA with the support of National Malaria Control Program (NMCP), Bangladesh Government. The mosquito net distribution ceremony was held on 20 July 2015 at Ranirhat Degree College premises, Rangunia. 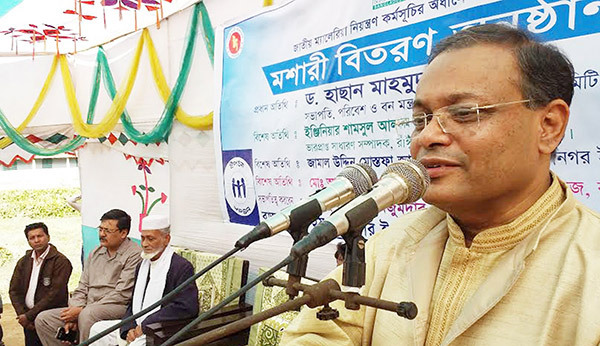 Dr. Hasan Mahmud MP, also a former minister, was present as chief guest while UNO of Rangunia Saiful Islam Mazumder presided over and Jigarul Islam Jigar, project manager of YPSA moderated the program.